We have the opportunity to work for the leading drilling companies worldwide. It makes us proud to be an important component in the largest geothermal construction plans. In our portfolio we share a résumé of those projects and cases. On a daily basis we work with passion and dedication on the development of new drilling machines and requirements. 6 March | Theo van Velzen Grondboortechniek en Bronbemaling from Alkmaar in The Netherlands received its brand new Boxer 150 last week. 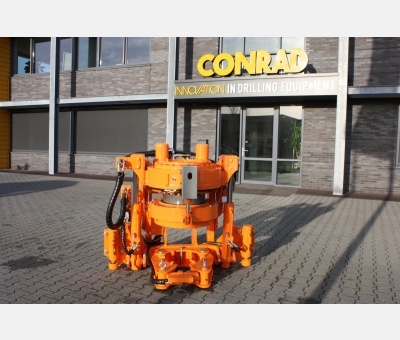 This multifunctional powerhouse can be equipped for both rinsing and suction drilling. 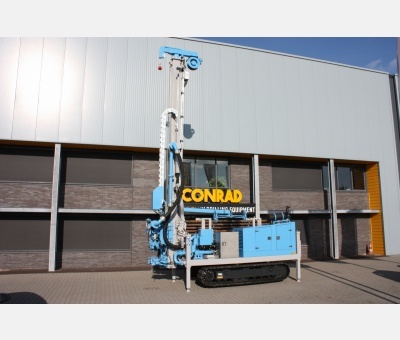 22 January | IMB-Spirk from Austria received the Conrad rotary table CRT 324 in January for the construction on an existing drilling rig. The IMB-Spirk CRT 324 is equipped with support cylinders for optimum stability. 23 October 2018 | Specialist in sustainable climate technology Nathan Projects has supplemented the fleet with the fast Conrad Boxer 200. The next Boxers in this series are currently under construction and will be delivered later this year and in early 2019. 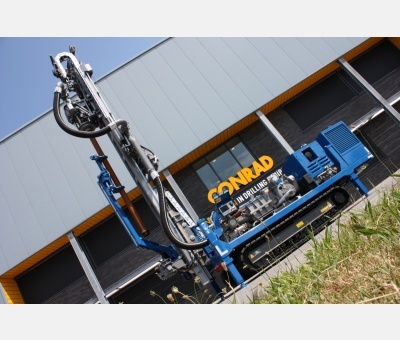 12 September 2018 | The Conrad Combi 500 is a reliable, powerful and robust drilling rig that is also extremely suitable for international use. 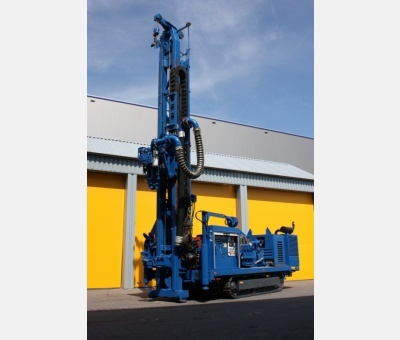 With its solid mast construction, a stable arrangement is guaranteed during the most rugged drilling conditions. 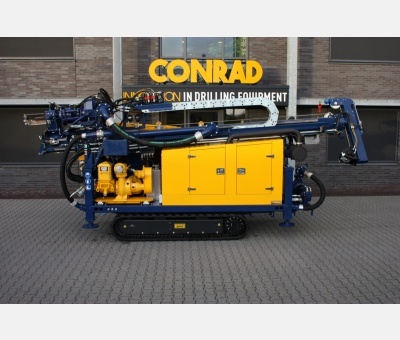 12 July 2018 | Rossingh Drilling chose the Combi 300. 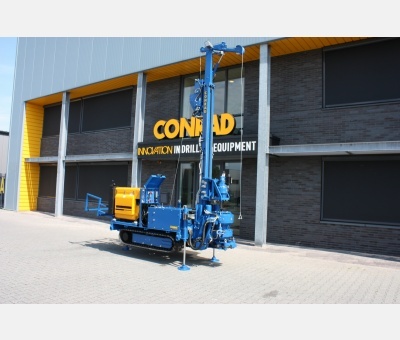 This Conrad Combi 300 HD rotary drill is designed for rinsing, suction and air lift bores and is suitable for handling 4 meter long drill pipes.